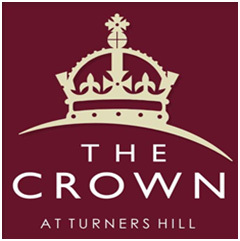 Huge thanks to The Crown at Turners Hill and their customers for their recent festive fundraising with the Crown’s Christmas Cash Draw. The draw, which offered cash prizes of £200, £100, £50 and 5 prizes of £10 each, raised a fantastic £71.23 for Sullivan’s Heroes. These funds will be used towards home adaptation grants for the children the charity is supporting. 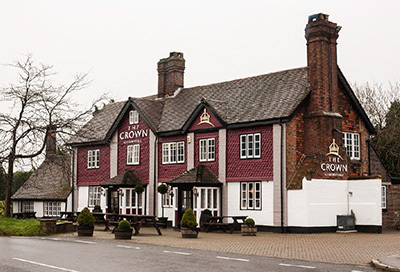 A local historic pub, The Crown At Turners Hill is proud of it’s extensive menu of traditional English dishes, with the emphasis on home cooked, fresh quality local produce. Included in the CAMRA’S Good Beer Guide, an ever-changing choice of local and regional ales is on offer – reinforced by seasonal Beer festivals throughout the year – accompanied by a range of Lagers and Ciders. Find out more at The Crown at Turners Hill‘s website.